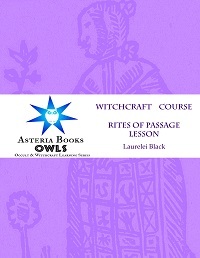 The Rites of Passage OWL features a historical and cultural look at the place of rites of passage in society, discusses witchcraft-related rites of passage, and offers several full scripts of rites of passage you can use with your family or coven. Available soon on CreateSpace and Kindle. For now, download a PDF copy for $1.